Donald Trump’s claim that the 2016 presidential election could be rigged is all too true, and there’s a growing recognition from many different segments of the political spectrum that the winner could be decided by a small group of hackers, perhaps working for a foreign power. On top of that, the recent hacking of the Pentagon, the alleged hacking of the Democratic Party by the Russians, and the hacking of many large corporations such as Sony by North Korea, suggests that the entity determining the outcome of the 2016 election could even be a foreign power – especially since it would have the computer sophistication and resources to pull off such a coup. 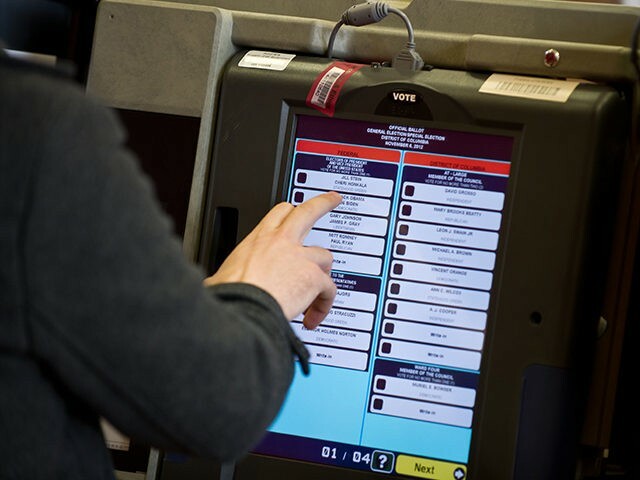 The reason is that emerging and dangerous computer and data processing threats are being added to both old-fashioned and new-electronic ballot fraud techniques. I speak as someone who started hacking in the late 1950s, and whose computer technique for determining the chance that any particular voter or small group of voters could change the outcome of a presidential election – now called “The Banzhaf Index” – has been widely adopted and utilized. That’s important because, under our Electoral College system, any rigging/fraud/hacking which resulted in a change in even a very small number of votes, and perhaps even in only one state, could change the outcome of the presidential election, something very unlikely to occur were there to be a direct presidential election. Under a direct presidential election, it would probably take a switch of millions of votes to change the outcome of the election, and that would be difficult to pull off – especially with nobody noticing – in only one or two states. But, under the Electoral College, a switch in a much smaller number of votes could change how a state’s electoral votes are cast and, if it’s a swing state, that could even flip the outcome. For example, the 2000 presidential election was decided by about 1000 votes out of almost 6 million cast in only one swing state, Florida. Traditional techniques for rigging an election, including stuffing ballot boxes and permitting those who are not eligible to vote (because they are dead, felons, or illegal aliens) to nevertheless cast ballots – still exist. Indeed, the impact of these old-fashioned election-stealing techniques could be increased by challenges to voter ID laws and other measures designed to insure that only those legally entitled to vote in fact do so. But these existing techniques are limited in their effectiveness, and often take many complicate people to pull off successfully. However, with widespread use of computers in voting and in vote counting, and transmission of votes over the Internet, it is now possible for a tiny group to switch large number of votes – perhaps only a few thousand in each of hundreds of precincts so that it would not be noticeable – and perhaps even to do it from overseas. In the Godfather movies it was said that “The lawyer with the briefcase can steal more money than the man with the gun.” Today what’s even more scary is that a hacker with malware can steal more votes than a corrupt mayor or governor. The threat of a rigged presidential election – and the possibility that it could be accomplished by only a few determined individuals or even by a foreign power – has been dramatically enlarged by the increased use of electronic voting machines (especially in states where they leave no paper trail), by the escalating use of computers and data processing techniques to count or transmit data about votes, and the ever growing ability of hackers both here and abroad to penetrate virtually any computer, even those computers and other electronic devices not connected to the Internet. So, how can hackers all too easily steal a presidential (or local or state) election? One way is through the use of voting cards – cards which look and act somewhat like credit card which permit citizens to vote on voting machines into which the cards are inserted. Simple alterations of the data recorded on such cards can permit a single voter to cast hundreds if not thousands of votes on one visit to the voting machine. Depending on the sophistication of the software, the proper card in the hands of a hacker might even permit him to alter the software, change the vote totals directly, etc. One of the most vulnerable targets are electronic voting machines. While some do generate paper records so that some type of audit trail is available if hacking is suspected, too many do not. This can create what Wired’s Brian Barrett terms a “technological train wreck” because, if some one tampered with the machine’s software, there would probably be no way to prove it by comparing real votes with vote tallies by machine. Reportedly Delaware, Georgia, Louisiana, New Jersey, and South Carolina use voting machines which leave no paper trail. The same is true in some parts of Arkansas, Florida, Indiana, Kansas, Kentucky, Mississippi, Pennsylvania, Tennessee, Texas, and Virginia. Another on-line vulnerability is that some states permit residents to cast their votes from home over the Internet. Thus, in addition to sending in fraudulent votes from a hacker’s computer, scammers might be able to trick voters into sending in their votes for a different candidate, or to providing scammers with the necessary information to send in a phony vote – just as scammers now get their victims to provide credit card and other vital information, or even to have their home computers serve as “slave” computers. Computers involved in voting are also vulnerable to some of the same kinds of hacks which have bedeviled so many major corporations, including the implantation of various kinds of malware. The difference is that – unlike their corporate cousins – these computers are much less likely to have malware detection software and people who regularly use it, and are also more likely to have porous firewalls. After all, if the Pentagon, Sony, the White House, the Iranian nuclear centrifuge control system (which was reportedly not even connected to the Internet), SWIFT (the international banking exchange system), the State Department, Aramco oil company, and many other large and seemingly impregnable computer systems can be hacked, what guarantee is there that the systems in Chicago or any other large city or county aren’t at least as vulnerable. In summary, just as the threat that hackers – including those working for a foreign government – could hack into and even take over our electrical distribution system, banking and stock trading computers, flight control operations, etc. is real, so to is the threat that foreign or domestic hackers could decide who will be our next president. To be forewarned should be to be forearmed! John F. Banzhaf III is a nationally-known expert and professor of Public Interest Law at George Washington University Law School. He is a FAMRI Dr. William Cahan Distinguished Professor, a Fellow of the World Technology Network, and the Founder of Action on Smoking and Health (ASH). Follow him on Twitter at @profbanzhaf.